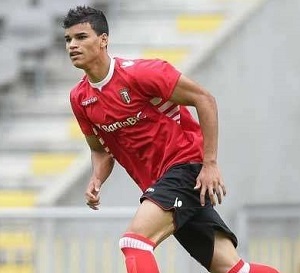 Brazilian footballer Danilo Barbosa da Silva who currently plays for SC Braga will join Valencia CF for around 7 million euros, the exact transfer fee is still not known, but knowing he's another Jorge Mendes agent probably close to his maximum fee. The player needs to pass the medical exam and then he will be officially announced as a new player. The player is 19 years of age and has started his youth career at Vasco da Gama and then continued his professional career at SC Braga where he played since 2014 and made 20 appearances for them. He's also featured in few the Brazilian under 21 squads and is considered a young prospect. He mainly plays as a defensive midfielder, so clearly he is brought in as competition to Javi Fuego, but I personally was hoping for some better player who can not only challenge Javi Fuego, but even replace him. UPDATE: The deal was made official today and Danilo Barbosa will join Valencia CF on a 1 year loan deal with an option at the end of the season to purchase the player.